We work on all makes of vehicles. From a major repair to a yearly service! Failed MOT? 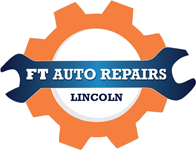 We can fix most problems that your car could have failed on. We can weld anything from a small crack to a full car panel. We can supply and fit all parts of your exhaust system all in house. We have a full range of tyres in stock and ready to fit including valve, balance and fitting. Is your air con running warm? Get it re gassed today in store. Excellent service from Paul & Simon, m.o.t all done and work completed in just 2/3 hours will defiantly be using these guys from now on.